Calling all Disney lovers! 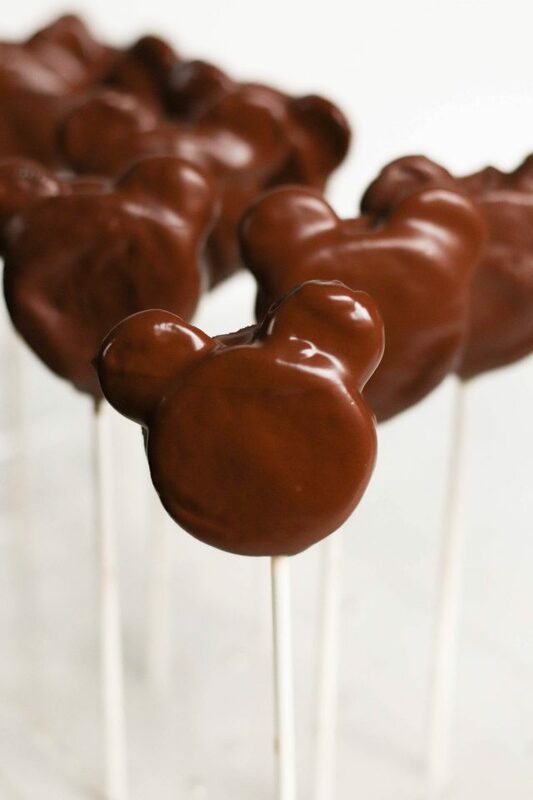 These adorable Mickey Mouse Cookie Pops are perfect for birthday parties, gearing up for your Disney vacation, or just to spread a little Disney magic. Anyone else out there Disney lovers like us? These cute Mickey Mouse shaped cookie pops are the perfect treat – whether you’re gearing up for a Disney vacation, throwing a birthday party (Elyse made these for Camden’s 1st birthday), or just looking to spread some Disney cheer. Step 2: Melt chocolate according to package directions. 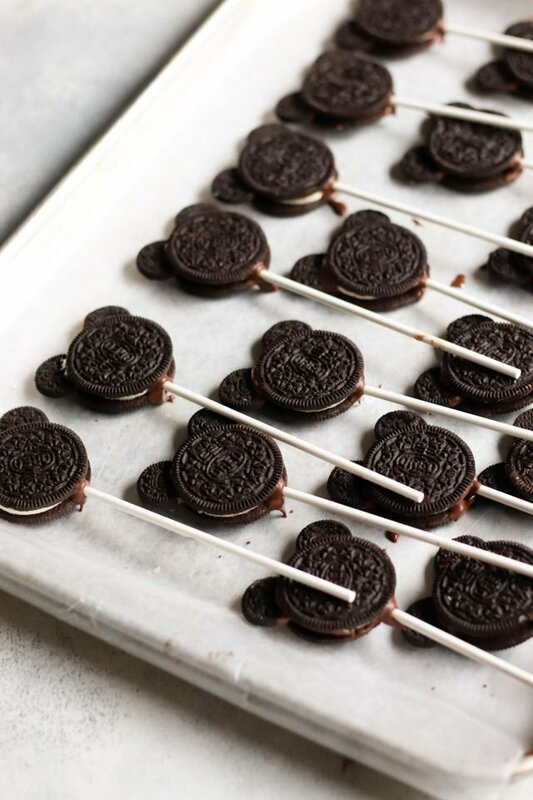 Step 3: Dip each cake pop stick into the chocolate, and then through the center of the oreo. Dip each half of the mini oreo in the chocolate and secure it in between the sides of the regular oreo. 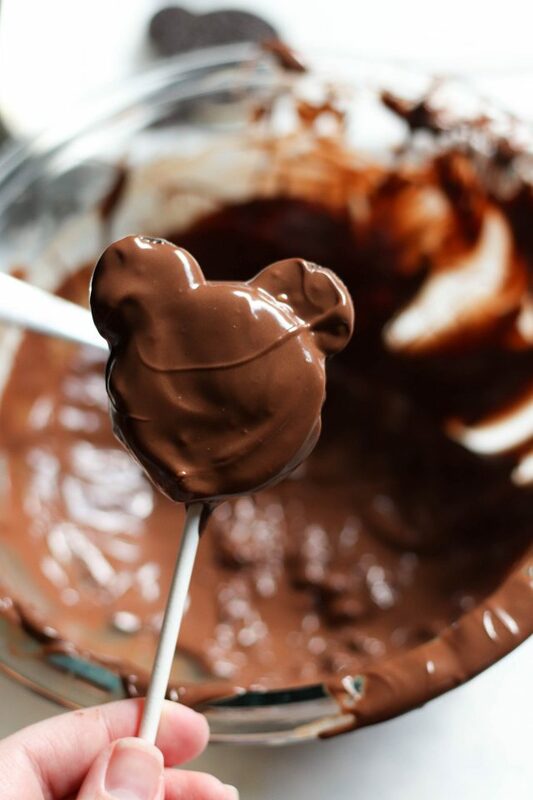 Step 5: Remove from the freezer, and using a spoon, coat each Mickey Mouse oreo completely in chocolate. Step 6: Place back on the backing sheet (or in a cake pop holder) and let the chocolate harden. (You can also place them back in the freezer for a quicker set up). These look really cute individually wrapped in cellophane and tied with a ribbon (especially as a party favor!). We ate them too fast to take a picture. You could also decorate them with sprinkles, dip the bottom half in red to make them even more “Mickey”-fied, or drizzle them with white chocolate to finish them off. We are HUGE Disney fans. 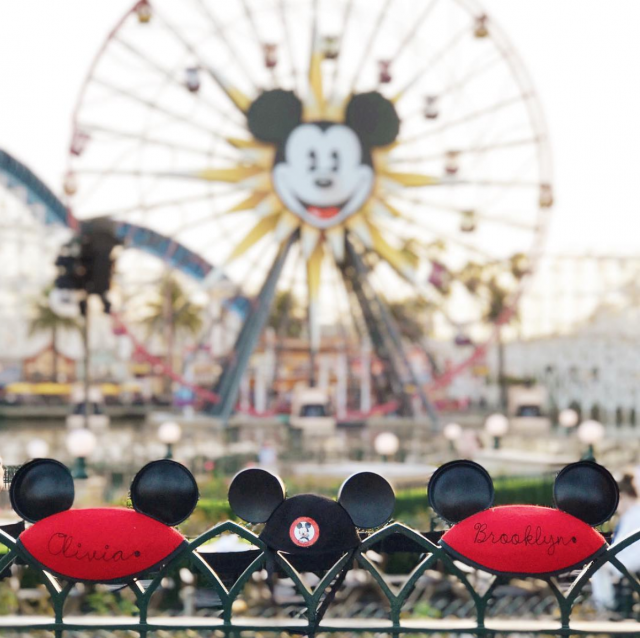 If you’re headed to Disneyland soon, check out this post – all of our tips from our sister Stephanie who is an Annual Passholder. We have found the best deals through Get Away Today. You can even set up a layaway plan so that you don’t have to pay for it all at once. Their hotel and park hopper package prices are the cheapest (and nicest!) we have ever seen. 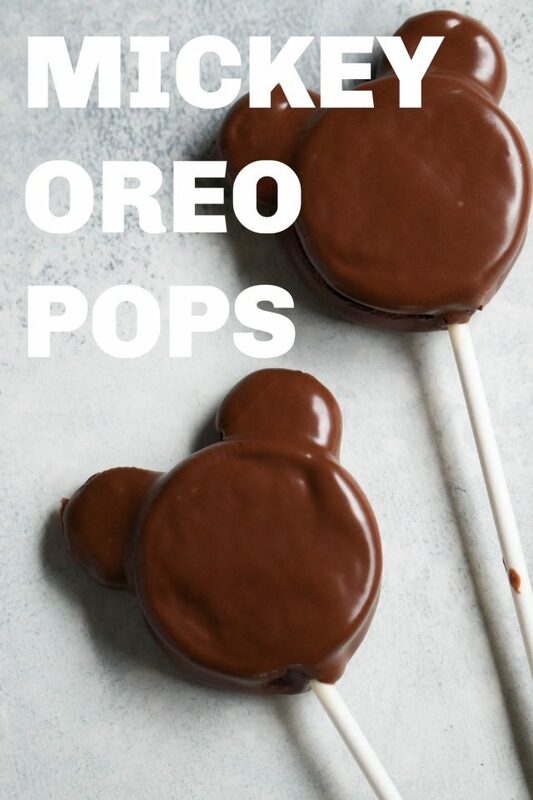 Arrange the oreos in a "Mickey Mouse" shape on a wax-lined baking sheet, with one regular oreo as the face and each half of a mini oreo as the "ears"
Dip each cake pop stick into the chocolate, and then through the center of the oreo. Dip each half of the mini oreo in the chocolate and secure it in between the sides of the regular oreo. Place back on the baking sheet and let the chocolate harden in the freezer for about 10 minutes. 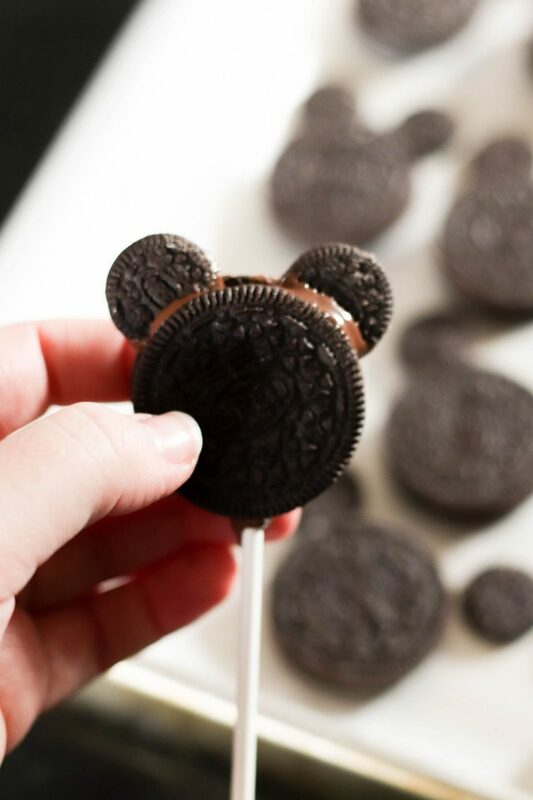 Remove from the freezer, and using a spoon, coat each Mickey Mouse oreo completely in chocolate. Place back on the backing sheet (or in a cake pop holder) and let the chocolate harden. (You can also place them back in the freezer for a quicker set up). Watch how to make another Disney favorite – DOLE WHIPS! These are so cool! Thanks for the great idea. 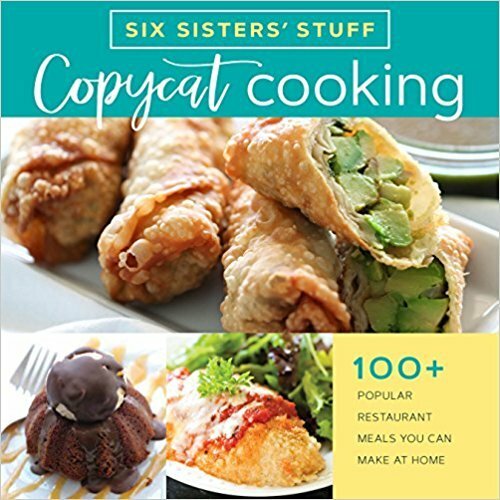 I am totally linking to this post on my blog! Thank you for this tutorial!! I was wondering how the mini ears stayed stuck to the big cookie. I will try this this weekend!!! Thanks again. They are good for a week in an airtight container and keep them in the fridge. We just used the chocolate almond bark on the baking aisle at most stores. Did you use regular Oreos or double stuf? What did you use for the Minnie bows? And where did you find them?? Thanks! I’m trying these for my grandsons birthday party and I got the regular Oreos but they are not wide enough to stick the sticks in. They break. Take that into consideration and maybe get the double stuff Oreos. You sticks must be bigger than ours. We used regular sized Oreos. But that is a good thing to think about. You will always be safe with Double Stuff!